Hemmed In is a small business. And we like it that way. We still personally create every product, quality check every order, answer every email and source only the best fabric all the way from Japan for your baby. No one else can love your baby like you do, and that's exactly how we feel about our work here at Hemmed In. Motherhood is the hardest job on the planet, and a diaper bag full of unnecessary stuff doesn’t help. We promise to only create highly functional products that fit your modern minimalist aesthetic to help you do more with less. We believe in the power of a compliment. Has anyone told you that you’re doing a good job lately? Let ours be the voice that rises above the self-doubt and Mom guilt: You’re a good mom. Join our mission of inspiring confidence in moms and tell someone that today! Fast Fact: The name "Hemmed In" comes from Psalm 139:5 which reads "You hem me in, behind and before, and you lay your hand upon me." A beautiful picture of the loving protection of God towards both baby and mom, and perfectly descriptive of a canopy gently covering a baby tucked away in their carseat, protected and cozy. Can you guess what our most popular product is? It's this one. I suffer from what you might call “lack of proper preparation” alongside a (self-diagnosed) allergy to clutter. In my daily, zealous pursuit of simplicity, I am, admittedly, left without needed items fairly regularly. Let’s just say I’ve never been the mom with extra snacks on hand for anyone we might run into at the park. Truth be told, I’m not certain my children left the house with shoes on. So it should come as no surprise that I didn’t use a carseat canopy, or really any “extra” accessories at all with our daughter. But then my best friend from college asked me to make her a carseat canopy for her first baby, knowing I had a habit of handmade gift-giving. This was my opportunity to make her life with baby easier than it was for me, and ensure she had what she needed without the dreaded clutter of “stuff” taking over her diaper bag. Unbeknownst to me at the time, that colorful, girly canopy was the very first prototype of today’s 3-In-1 Canopy, and the conception of Hemmed In. That spark of inspiration has now set ablaze a full-fledged mission to bring simplicity & ease to multi-tasking Moms everywhere. And low and behold, it’s come full circle in my own life: 6 and a half years after learning the hard way what you really do need with a newborn, and 3 years after drafting that first mutli-use Canopy, I’m now using a Hemmed In Carseat Canopy everyday with our adopted son! 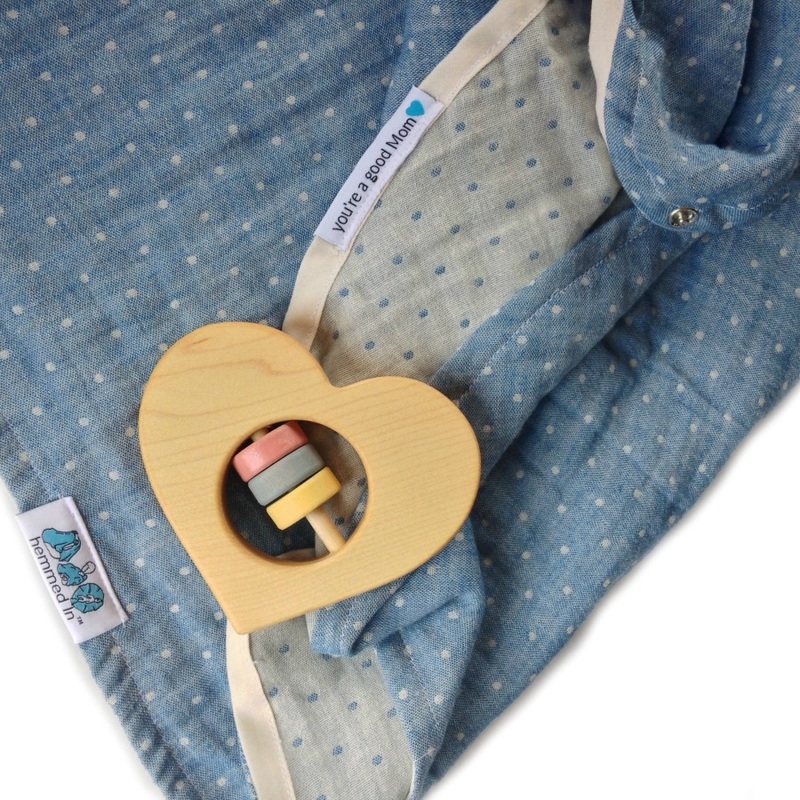 I use this canopy and this swaddle daily, and find new ways to use them all the time as he grows. Today, Hemmed In offers calm in the chaotic storm of life with a new baby. 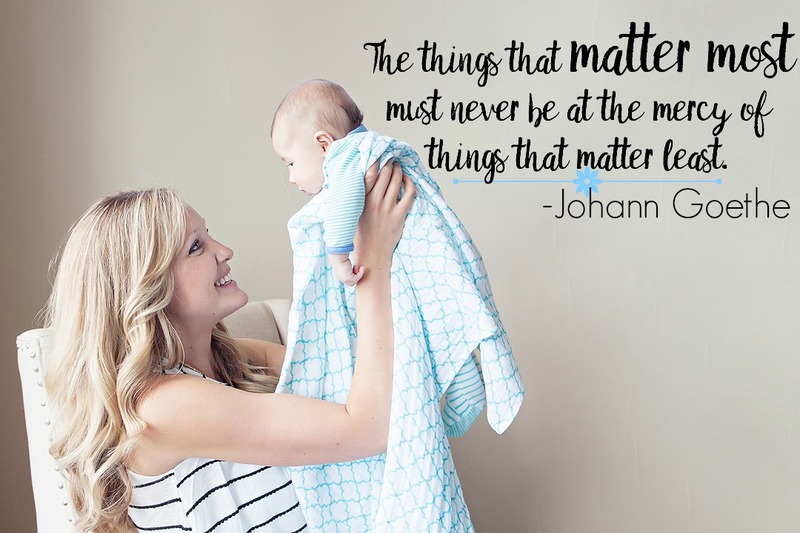 Just like the mindset I had when I was designing for my best friend, I still want to be sure that anything Hemmed In produces won’t add to the noise & clutter of the already sky-high demands of motherhood. 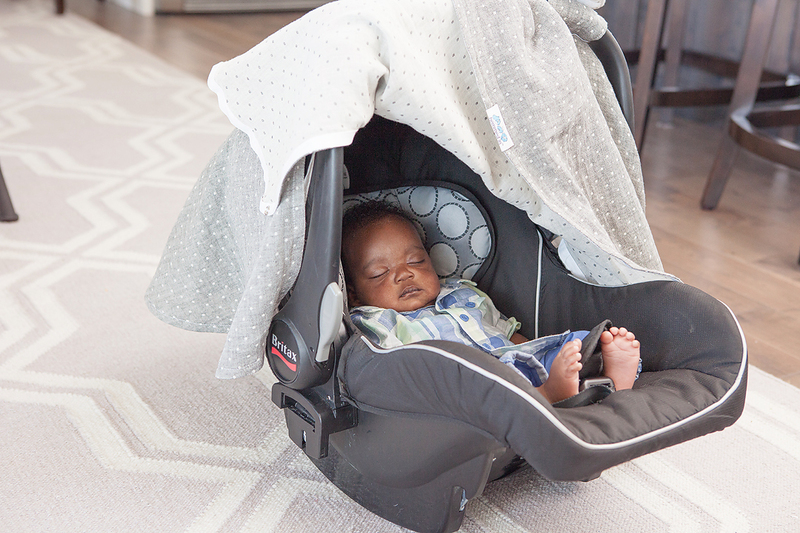 I want you to know the peace of mind that comes when you have what you need on-the-go. I want to help lighten your load so that the slower moments with your little love can be savored. More than anything, I want you to know that you’re not alone in this thrilling, terrifying, exhausting & exhilarating journey of motherhood. I designed a simple little tag on the side of every canopy that says "You're a good Mom." It's a quiet reminder, from me to you, that you are the best Mama your little one could ever have. With or without snacks on-demand, or shoes on tiny feet, or a just-in-case Band-Aid in your back pocket, you're doing a great job. I hope you believe that too.